Firstly – just as all the other Maraakiz will say about themselves – nothing connects us to the students at Salafipublications, the students in the other Maraakiz and the Maraakiz except Salafiyyah – the strongest bond. Secondly, the one who has been told is not like the one who witnessed. Between 2004-2005 Al-Markazus Salafi had no Duroos, so, Ustaadh Abu Iyaad, Ustaadh Abu Hakeem and Ustaadh Abu Khadeejah took time out to educate us. Likewise, Ustaadh Abu Haaroon started Madinah Book One. Ustaadh Abu Iyaad used to transmit the explanation of the 40 Ahaadeeth of Imaam An-Nawawi (explanation of Shaikh Fawzaan and Shaikh Uthaymeen) and Imaam Muhammad Ibn Abdul-Wahhaab’s [ستة مواضع من السيرة (explanation of Shaikh Fawzaan)]. The few who attended the masjid greatly benefitted. On the other hand, Ustaadh Abu Hakeem and Ustaadh Abu Khadeejah used to come to Al-Markazus Salafi once a month. This effort of the students at Salafipublications took place during a time in which the masjid had no Duroos and the Masjid committee was put to trial by way of disagreements. However, by the Mercy of Allaah [first and foremost] and then the advises and efforts of the students at Salafipublications, we realised our errors and the many obstacles we faced due to short-sightedness, lack of knowledge and experience. Likewise, our elder brother -Ustaadh Abdul Ilaah Lahmaami [hafidhahullaah]- has always been an insightful and gentle adviser – always giving precedence to everything that will bring the hearts together and increase love and compassion between Ahlus Sunnah. During the Fitna of Yahyah Al-Hajoori Al-Haddaadi al-Mubtadi, Ustaadh Abdul Ilaah alongside Ustaadh Abu Khadeejah stood firm to help us repel – by the Tawfeeq of Allaah – those supporters of Al-Hajoori who desired to turn Al-Markazus Salafi into a base for the Hajaawirah. 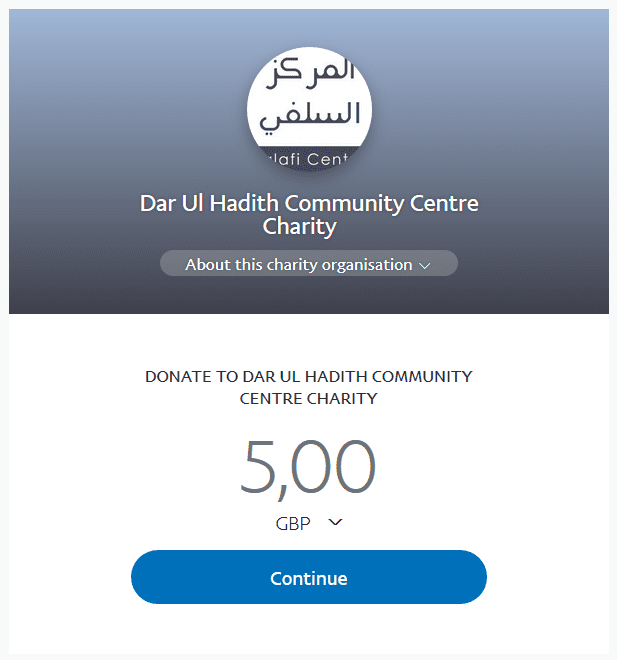 By the Tawfeeq of Allaah, our community is still learning the little they can and co-operating to the best of our ability with all the Maraakiz and students. May Allaah bless the students at Salafipublications and all the other students, and protect them from all evil. And we ask Allaah to bless Ustaadh Abu Mu’aadh Taqweem Aslam, Ustaadh Abu Humaid Saalim, Ustaadh Rayyaan Barker, Ustaadh Abdul Hakeem Mitchell [hafidhahumullaah] for their continuous efforts at Al-Markazus salafi and elsewhere. Likewise, we ask Allaah ask to bless all the Masjid Committees and Salafi Communities – in the UK, America, Canada and elsewhere. We ask Allaah to maintain unity between us, compassion, brotherhood, advising one another for the sake of Allaah, protect us from Fitan and grant us the Tawfeeq to always return to the Book, the Sunnah and the understanding of the Salafus Saaleh, as well as the advice and guidance of the scholars of the Ummah, such as the likes of Shaikh Rabee, Shaikh Ubaid, Shaikh Fawzaan and others Aameen.